There's no denying we love chronicling anything that has to do with Disney Fairy Tale Weddings & Honeymoons, and today is no exception. We selected a few of our favorite dresses from the 2017 Disney Fairy Tale Weddings by Alfred Angelo collection and assembled what we think would pair beautifully with each Disney Princesses's wedding dress. From Snow White's wedding hairstyle to the perfect crystal covered pointy toe pumps for the Cinderella bride-to-be. Read on to see all of our Disney Princess inspired wedding looks, and keep scrolling to see the entire 2017 Disney Wedding Dress collection. Delicately feminine and rich with all the fairytale romance of Snow White's story, this princess wedding gown from the 2017 Alfred Angelo bridal collection embodies all the beauty that is Snow White. Any bride-to-be who dreams of her own fairy tale wedding would love to receive this 14k white gold carriage engagement ring. Designed after Cinderella's carriage from Disney Fine Jewelry. 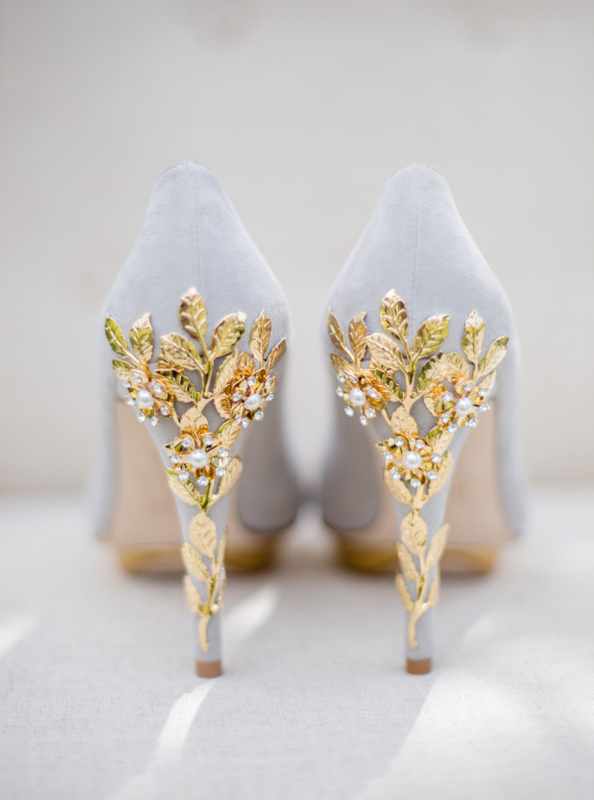 A Snow White inspired bride would definitely wear these Bridgette Grey Cherry pumps by Harriet Wilde. These butter soft grey suede pumps are placed on a gold mirror gold platform. How fitting ... right? Did you know Fairy Tale Weddings & Honeymoons had an amazing blog with oodles of magical wedding inspiration? 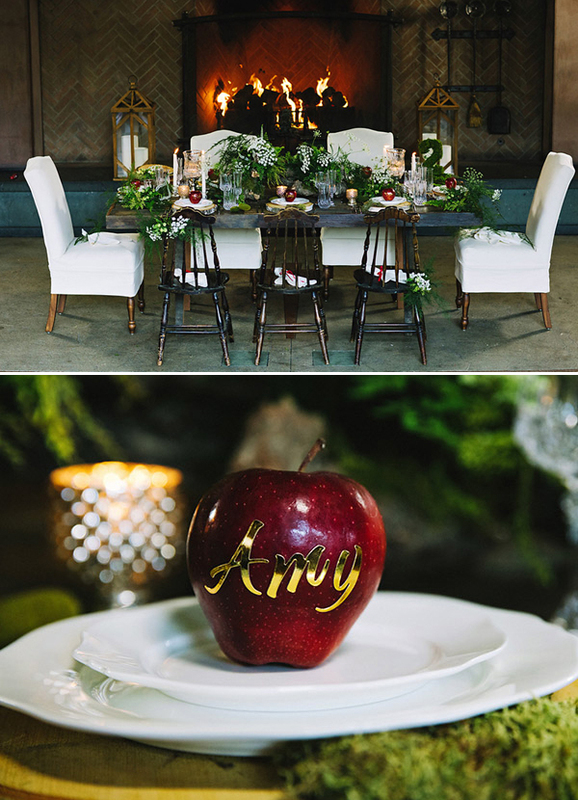 In fact the Snow White inspired table decor you see above is from a recent post. You must see the entire set up here. Decor images courtesy of White Rabbit Photo Boutique. 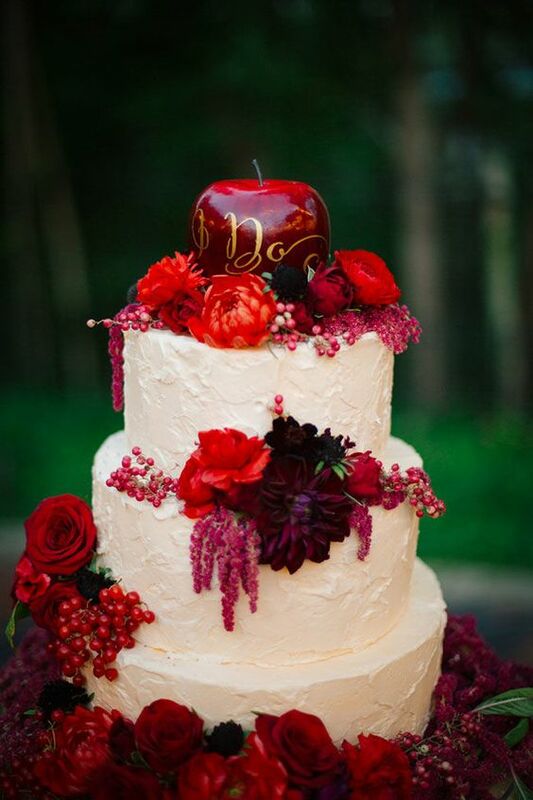 Instead of a traditional wedding cake, you could have a dessert table dedicated to all things apple - Apple Pie in a Jar, Sparkly Apple Slab Pie, Apple Custard Pie, Double-Crust Apple Pie. The list is endless. If you did want a traditional wedding cake the Snow White inspired wedding cake below would be an ideal choice. Photographed by Claire Marika Photography. 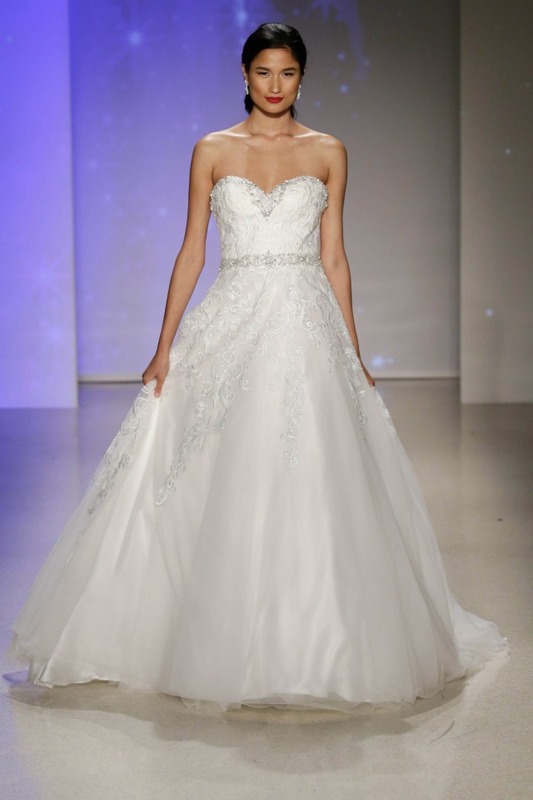 Our next dress from the 2017 Alfred Angelo bridal collection is none other than Cinderella. This regal and timeless wedding gown has embroidered lace that glitters with all the magic of Cinderella's enchanted fairy tale. Beautifully embroidered lace cascades down the entire A-line frame. Quite frankly this dress is beyond magical. Of course Prince Charming would gift his true love this Cinderella bridal ring with dress silhouette. 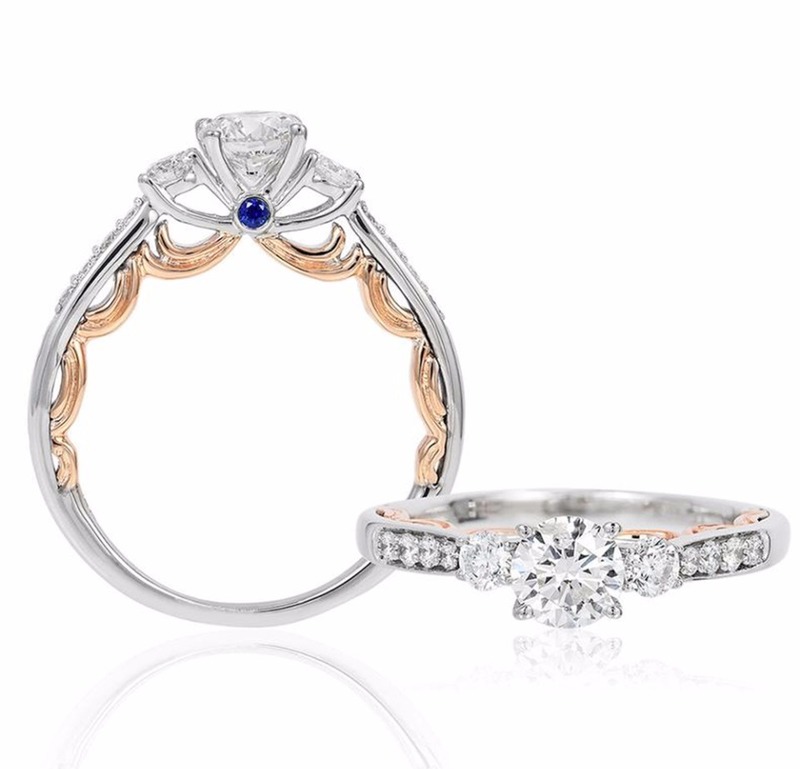 Crafted in 4kt white gold bridal ring. 1.00 CTTW (3/4 CTR) with sapphire on each side of ring underneath center stone. Rose gold dress silhouette around the inside of ring. Every princess needs a Tiara! 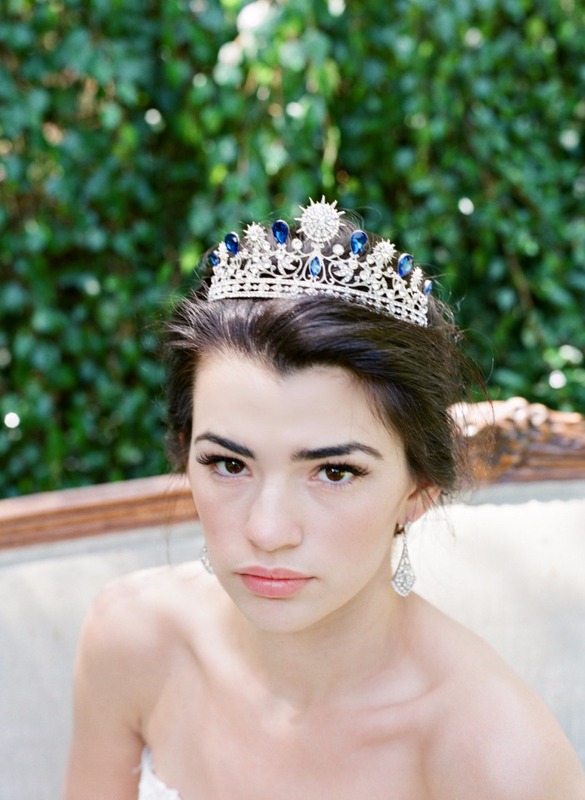 We're crushing over this Crystal Blue Tiara from Eden Luxe Bridal. 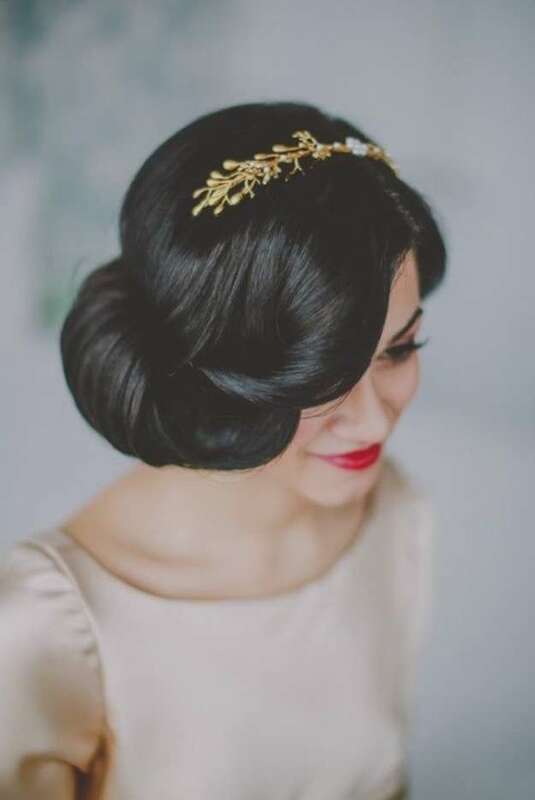 It would go ever so perfectly with your Cinderella inspired wedding gown. Cinderella is proof that a new pair of shoes can change your life. 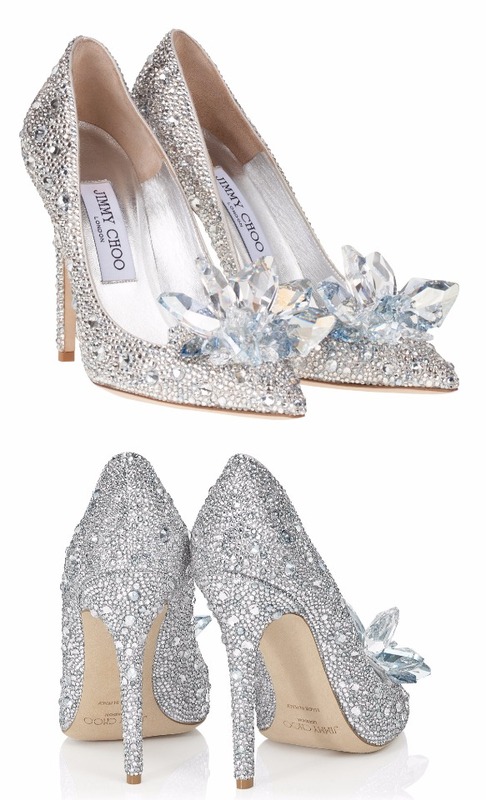 That being said you are going to need to wear these Jimmy Choo crystal covered pointy toe pump 'Cinderella Slippers!' Your life will be forever changed. 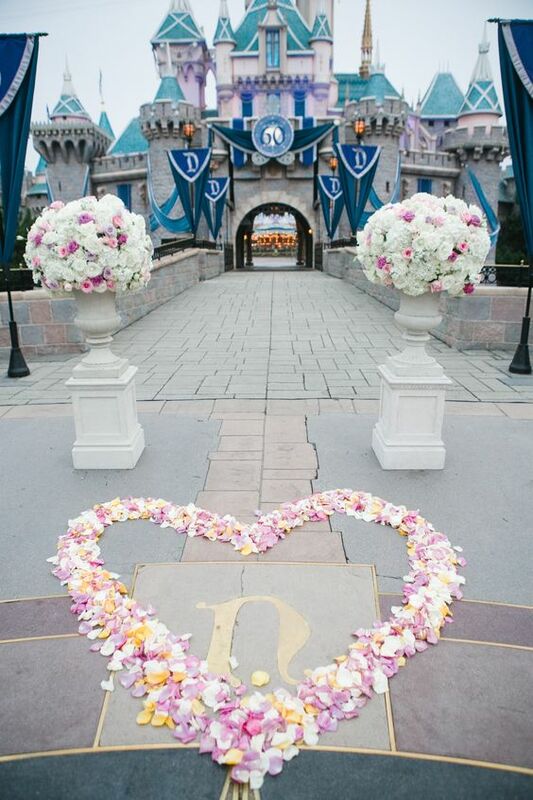 The greatest part about having a Disney inspired wedding is the possibilities are endless. Whether you have dreamt of an opulent Cinderella themed wedding like the one above, or an intimate gathering, your day will be simply enchanting regardless. 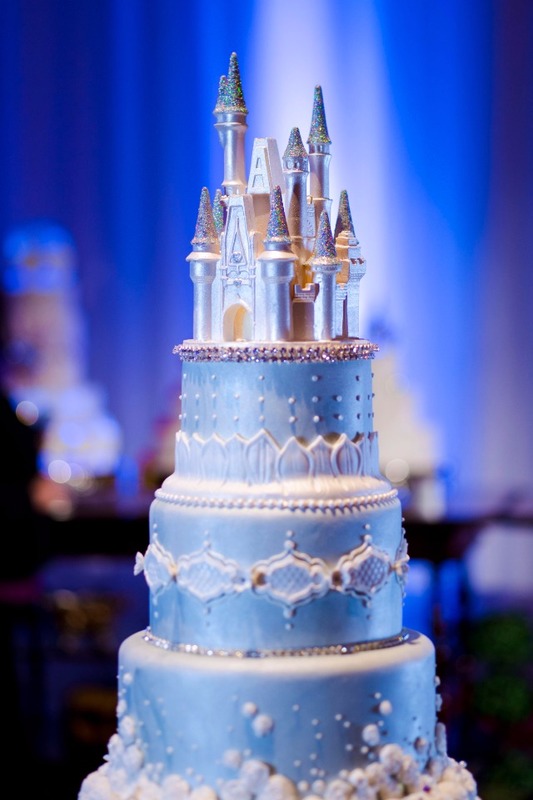 Let Disney Fairy Tale Weddings & Honeymoons help you you design your dream day. Start planning your Disney wedding here. 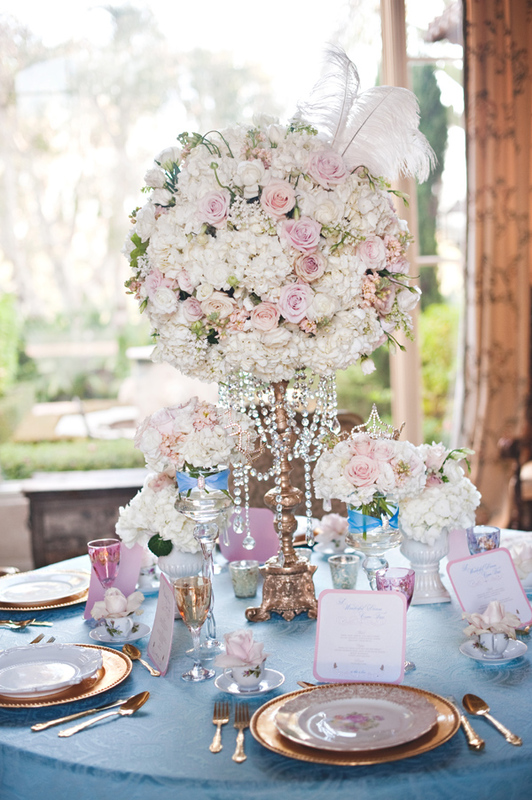 Glamorous themed Cinderella wedding inspiration above photographed by Bethann Greenberg Photography. 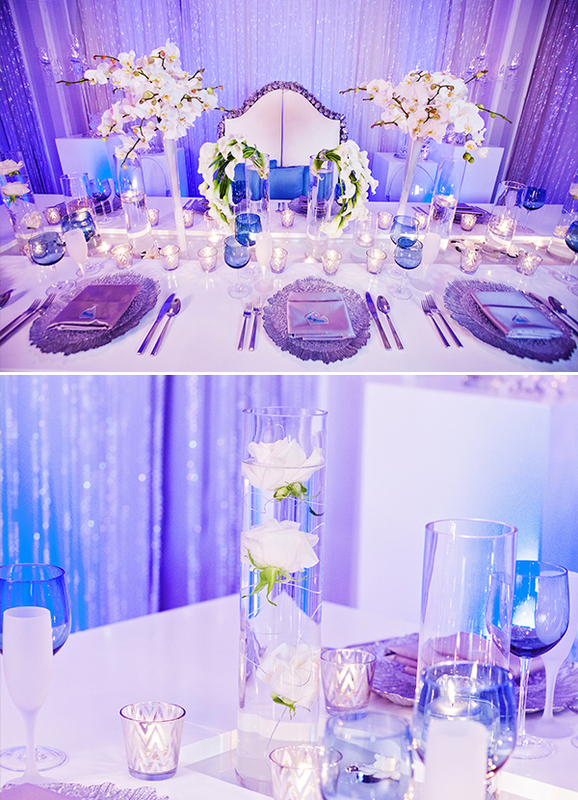 To see more of Cinderella themed wedding ideas go here. We must also mention that Disney's Fairy Tale Weddings and Honeymoon blog also has inspirational galleries. Each of them filled with hundreds of images to inspire and ignite wedding ideas. 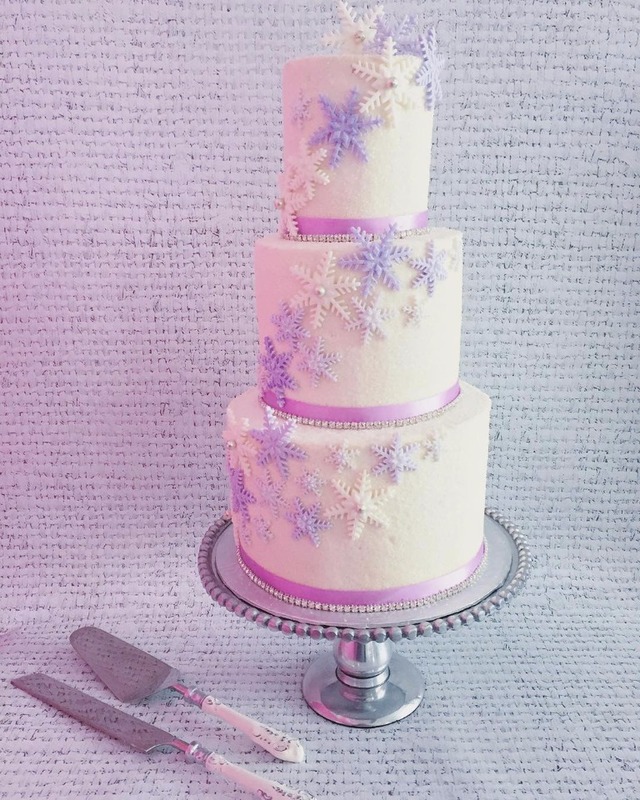 We found this Cinderella inspired wedding cake in the Cake gallery. View all the galleries here and start dreaming. 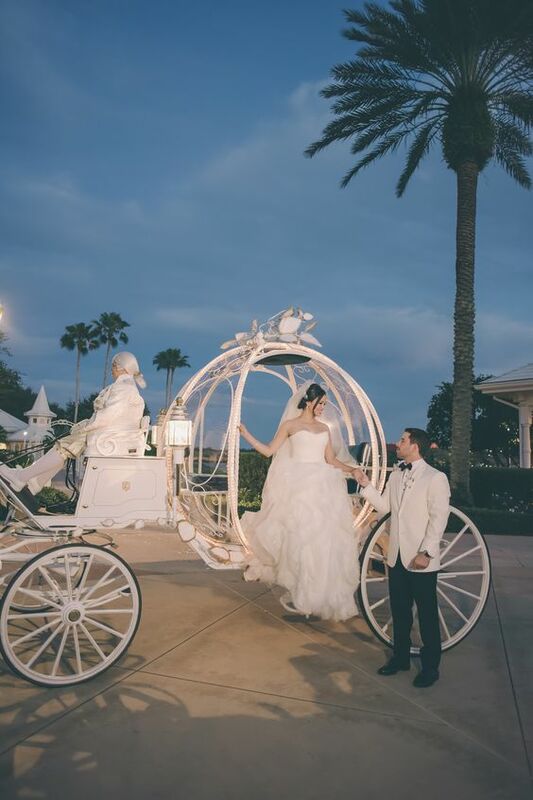 Disney's Fairy Tale Weddings and Honeymoon blog also has Real Weddings, where you can see real life weddings like the one below. See more real Disney weddings here and to see more of Walt Disney World Wedding Spotlight: Erica & Ozzie here. The 2017 Queen Elsa's Disney wedding gown glistens like crystals in the snow. With a modern silhouette and a train fit for a Queen, this Elsa inspired wedding gown is going to melt every heart in the room. 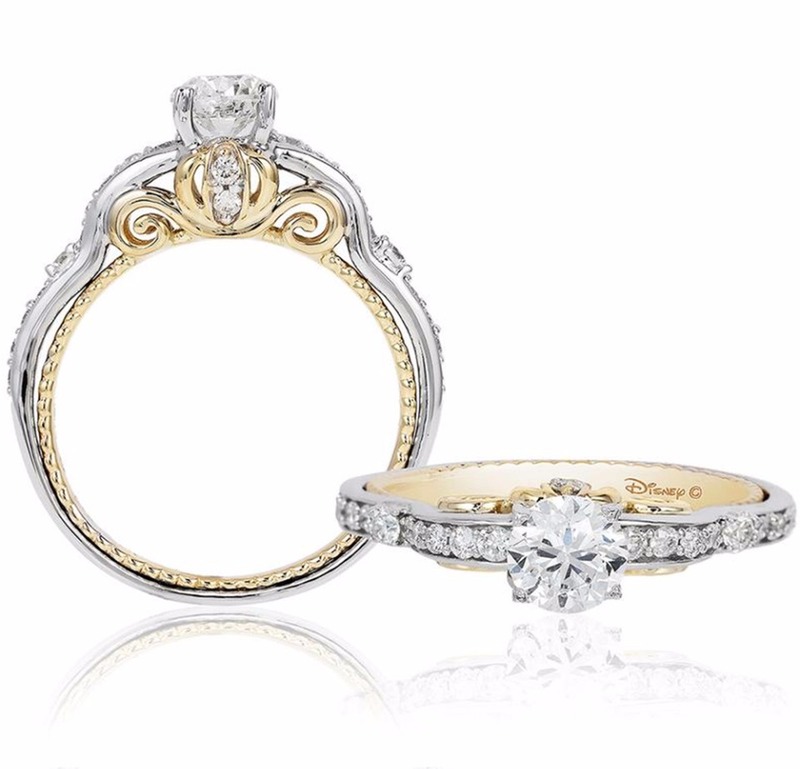 An engagement ring fit for a snow queen. 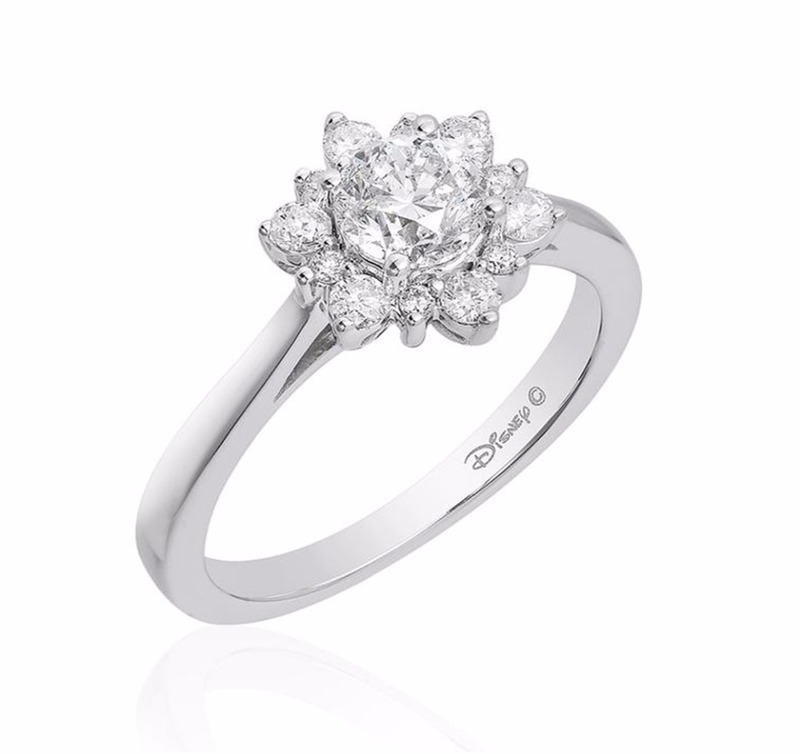 This Elsa snowflake bridal ring 14kt white gold snowflake shaped diamond bridal ring. 1.00 CTTW (3/4 CTR). 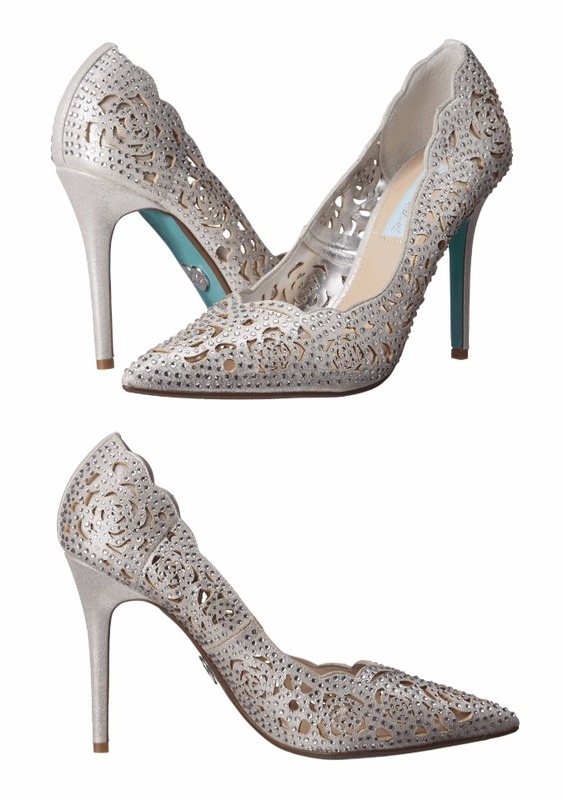 Betsy Johnson designed these ultra stylish heels especially for the Elsa inspired bride. 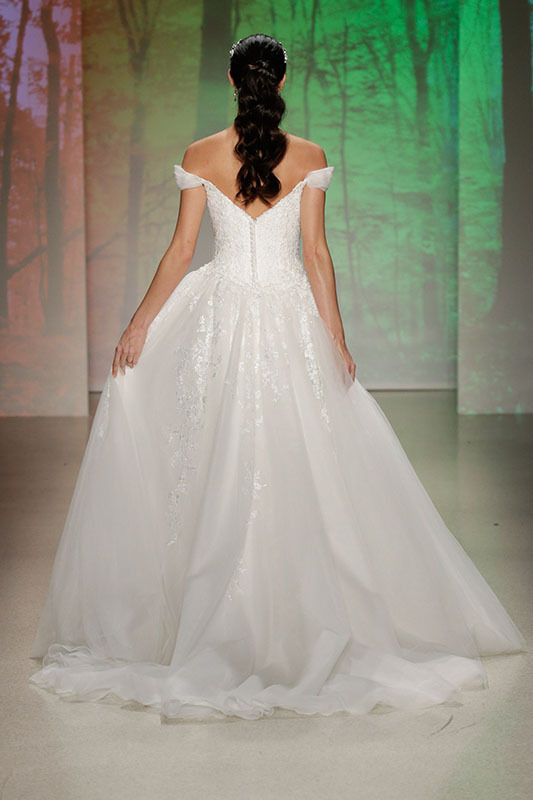 Whether you love Elsa, Snow White, Cinderella or any of the other Disney princesses, Disney and Alfred Angelo have created flattering, affordable wedding dresses that encapsulate the spirt of these romantic icons. See the entire 2017 Disney's Fairy Tale Weddings and Honeymoons bridal collection below. Which is your favorite Disney Princess?